Lucinda Starrett is a partner in the Los Angeles office of Latham & Watkins, where she chairs the firm’s global Energy and Infrastructure Project Siting and Defense Practice Group. Ms. Starrett formerly chaired the office’s Environment, Land and Resources Department and also works closely with the Entertainment, Sports and Media Practice Group and the Climate Change Practice Group. Ms. Starrett's practice includes approval processes for real estate development , sports and infrastructure projects, including university master plans, as well as related environmental and transactional matters. Her California Environmental Quality Act (CEQA) practice focuses on administrative and pre-litigation counseling. Ms. Starrett is registered as a lobbyist with the City and County of Los Angeles and with the Metropolitan Transportation Authority. 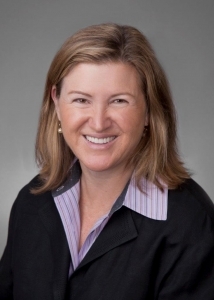 Ms. Starrett serves on the board of the California Chamber of Commerce and co-chairs its Environmental Regulatory Committee, and formerly served as the Chair of the Central City Association. She currently chairs the board of the Los Angeles Parks Foundation, which supports the City’s parks and recreation activities, and serves on the board of the Los Angeles Dodgers Foundation. Ms. Starrett is a frequent lecturer on entitlement, CEQA and land-use issues. A former Fulbright Scholar and law clerk on the Ninth Circuit Court of Appeals, she holds a B.A. from Princeton’s Woodrow Wilson School of Public Affairs and a J.D. from the University of Pennsylvania Law School.